A set of five different flags. 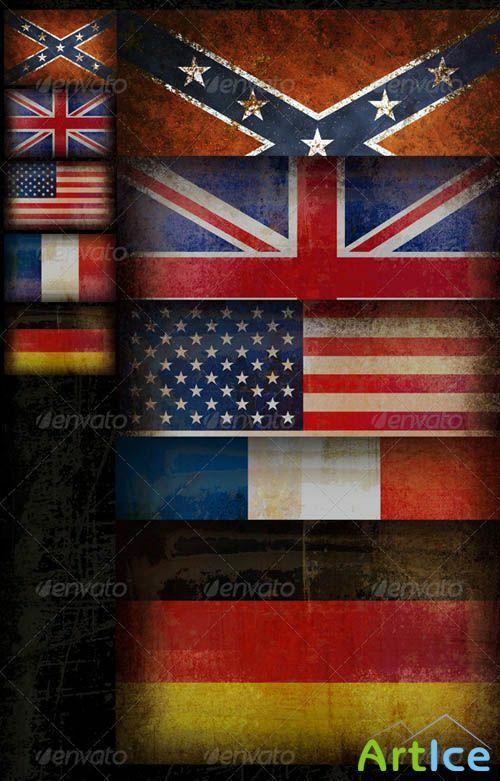 U.S., Germany, France, Britain and the flag of the Confederation. Includes Tiff file, layer by layer file.